HPR's fall membership campaign came to a close on time at 6:00 p.m. on Friday, October 5. The station successfully raised $802,000 and welcomes the 815 individuals who became new members. This drive will be remembered for the dramatic half-day hearing on the Supreme Court nominee, which fell on the second day of on-air fundraising. HPR is proud to have stood by its mission and broadcast the proceedings in their entirety, knowing that by doing so it risked not meeting its $845,000 goal by the scheduled tenth day of the drive. The station is immensely grateful to the 2400 donors who contributed during the campaign. Mahalo also to those who gave of their time and talents. Between-drive gifts are welcome at any time. Call our friendly Membership team during regular business hours at (808) 955-8821. Visit our Facebook page or subscribe to our e-newsletter for station updates. 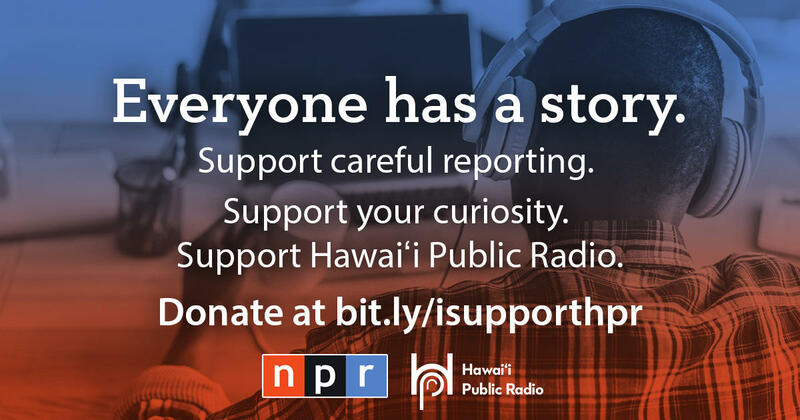 Hawaiʻi Public Radio takes to the air from September 26 to October 5 with its semi-annual membership drive. The station currently counts 14,200 members, with half of them donating in regular installments as Sustaining Members. The growing number of Sustainers correlates with the steady decrease in fund drive goals over the last four years, despite rising costs. The reliable income from this cohort of monthly donors has allowed the station to plan more strategically and invest in necessary infrastructure improvements. 94% of HPR's revenues are generated by individuals, families, and businesses in its community. Growing the station's membership rolls will further position HPR for growth and the development of quality local programming. Mahalo for listening and for your support!